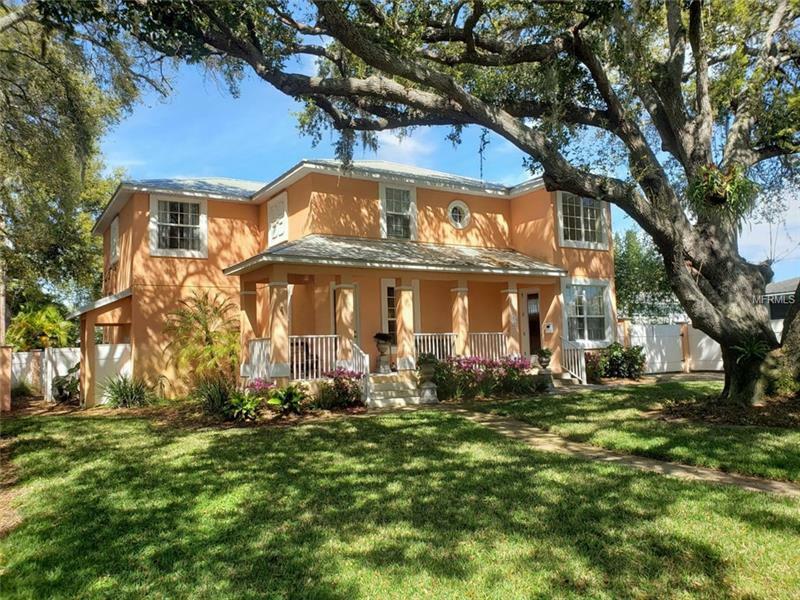 This Key West Plantation style home was built in 2008 and features 4 bedrooms, 2.5 baths and a 2 car garage on a Brick paved street with an alley in the back. Updated 2018 and 2019! An elegant open floorplan with volume ceiling in the living/great room with a breakfast bar off the eat-in kitchen. The second floor leading to the four spacious bedrooms features a landing at the top of the stairs with space to read and display your artwork. The master bedroom features 2 walk-in closets. The master bath has a large garden tub and a separate large shower, dual sinks, and the water closet are in a separate room off the master bath. All bedrooms have ceiling fans. The home also features an internal pest control tubing, an alarm system, and a metal roof. This home is close to the beaches, shopping, and downtown St Petersburg. Make your appointment today!